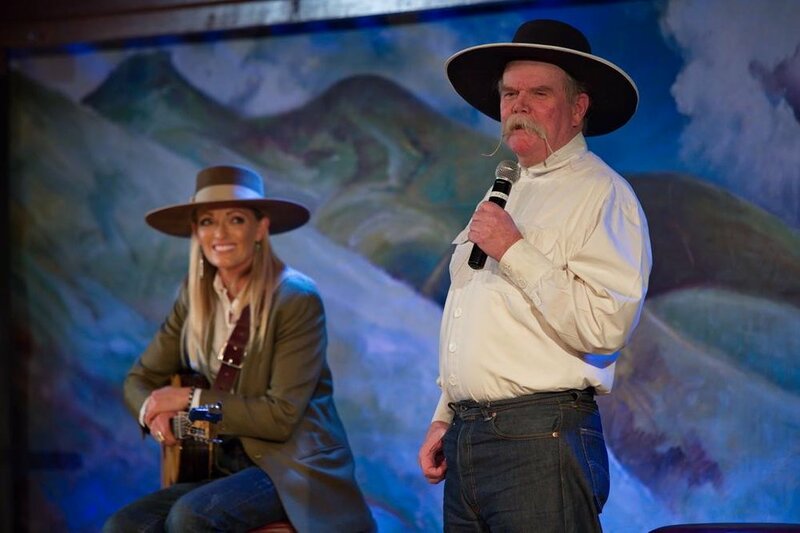 The 35th National Cowboy Poetry Gathering was a lot of fun, and we're thrilled to have been able to share our event with so many wonderful folks, returning and new. If you've not made it to Elko yet, it's not too early to start planning for our 36th, January 27-February 1, 2020. Here are a few of the great moments, captured by photographer Charlie Ekburg of Sweet Light Photography. Enjoy! Trinity Seely and Waddie Mitchell kick it all off on Monday night. Pioneer Saloon Jam Sessions and Sing-Alongs, led by Liz Dreisbach and Eugene Jablonsky. An Elko County ranch family…with hats. Ramblin’ Jack Elliott joins Marty Stuart and His Fabulous Superlatives on Thursday night. Enjoying the Friday Night Dance with Geno Delafose & French Rockin' Boogie. Older PostMarty Stuart and His Fabulous Superlatives at the 35th Gathering!